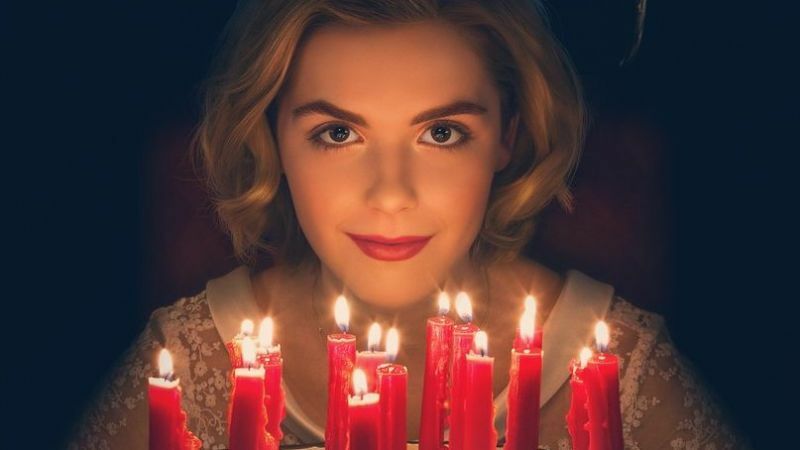 Fans of the ’90s show Sabrina The Teenage Witch were thrilled to hear in December 2017 that Riverdale showrunner Roberto Aguirre-Sacasa was developing Chilling Adventures of Sabrina for Netflix. The spin-off of the popular teen drama Riverdale is based on the comic book series (which bears the same moniker) by the Archie Comics imprint Archie Horror. 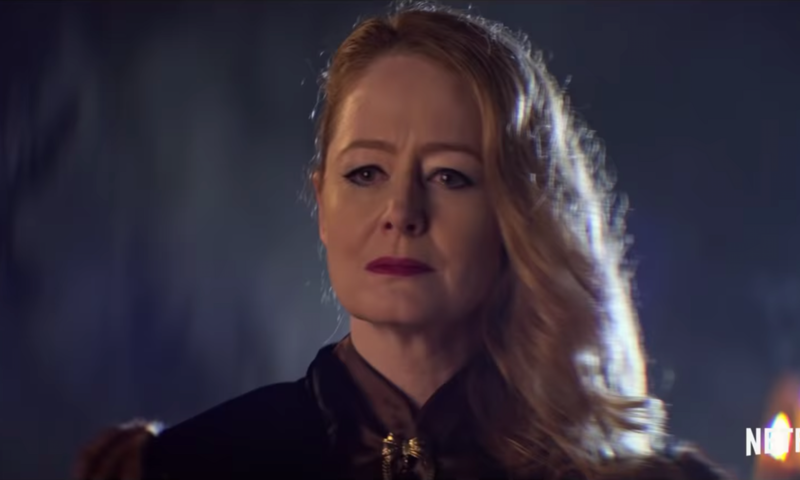 It has a two-season order which is great news for those of us who want to see what the half-mortal, half-witch Sabrina Spellman is up to. Season one is streaming on Netflix as of Friday, October 26, 2018. 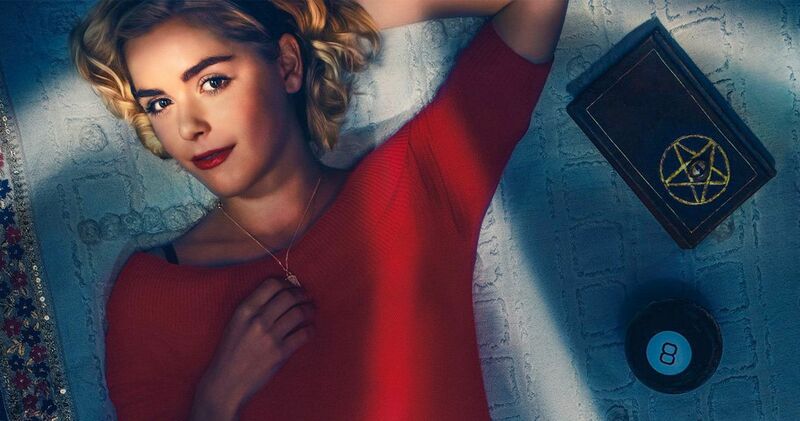 Kiernan Shipka, who is best known for her portrayal of Sally Draper on Mad Men, plays the infamous Sabrina Spellman. Fans are always eager to see what will be similar and different when it comes to an adaptation. 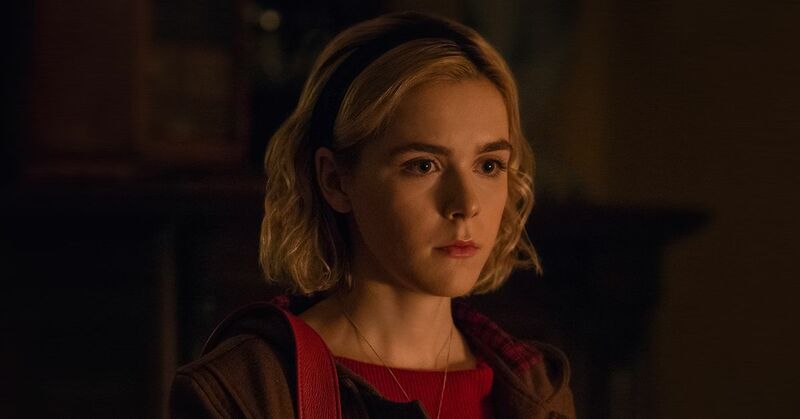 Read on to find out five things that are the same and five things that are different on Chilling Adventures of Sabrina. What would Sabrina be without her trusty cat, Salem? 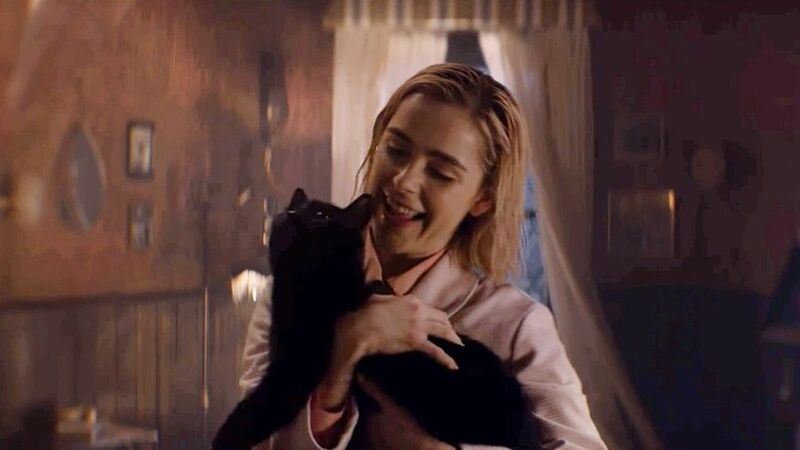 What’s interesting about this Netflix adaptation is that while Salem the cat is very different from the personality-filled, human-like feline we have come to know and love from the ’90s show (played by Nick Bakay and several puppets plus cats), he’s still Sabrina’s familiar. According to Vulture, Salem is now a fairly active cat (played by five cats) who isn’t exactly one for chatting. While we can expect a more silent cat than we are used to, Salem the cat is still a big part of the show, which will be a relief to fans. Sabrina’s boyfriend Harvey Kinkle (portrayed by Nate Richert) was a staple of the ’90s show. 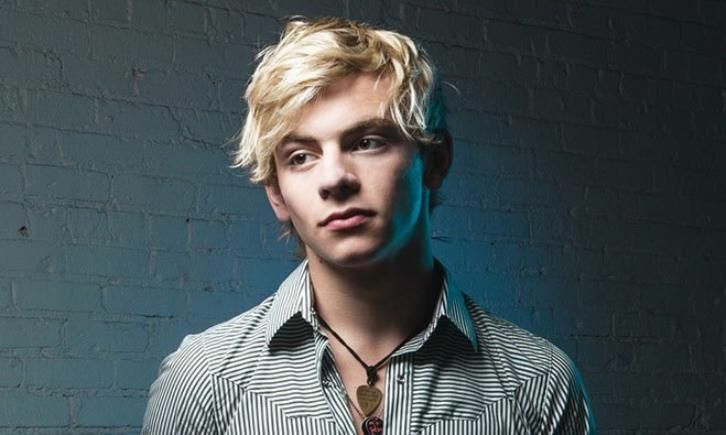 He was handsome and a bit ditzy (in a charming way). Sabrina was often casting spells on her love interest and this was part of the comic relief of the show. What is so appealing about the character of Sabrina is that she is a teenage girl. Yes, she’s got powers, and yes, that gets her into mischief sometimes, but ultimately, she attends classes like everyone else–she’s just like us! 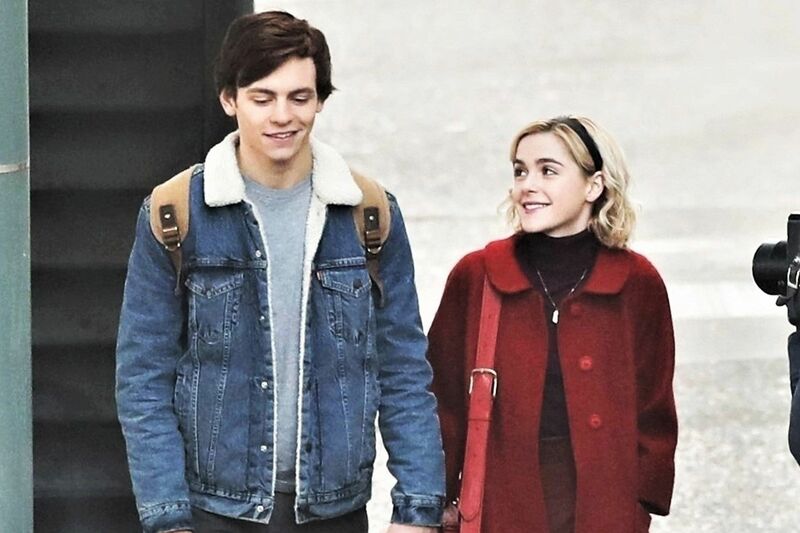 Chilling Adventures of Sabrina has the same high school scenes that audiences are used to seeing. As this early review of the series by Vulture says, “Sabrina is a young woman steeped in two worlds.” We see her taking part in one of those universes: that of a high schooler who walks the hallways with her friends. This time, there are some different teachers and pals, but the idea of Sabrina as a half-mortal girl remains the same. The story of Sabrina really begins on her sixteenth birthday. The character celebrates her special day and learns of her witchy origins in the pilot of the ’90s show. In Volume 1: The Crucible of the comic book series, Sabrina is also turning sweet (or not-so-sweet) sixteen. This is another thing that is the same on Chilling Adventures of Sabrina: the title character still turns sixteen at the start of the series. In the Netflix teaser for the show, we hear someone singing “Happy Birthday” in a creepy voice and we see someone holding a cake piled high with burning candles. In the comic book series, Sabrina has a big decision to make: she can embrace being a witch or stay human and date her boyfriend, Harvey. The same thing is true of the Netflix series. On a typical birthday, we get to blow out the candles on a cake and eat said cake and open some presents. Perhaps we throw a party or attend a surprise bash. On Sabrina Spellman’s birthday, she has to decide if she wants to remain human and be with Harvey or if she wants to explore being a witch. It’s a fascinating choice for any teenager to make. One different thing about Chilling Adventures of Sabrina is a darker tone. While fans are used to a lighter story from the ’90s show, which featured a sassy Salem, Aunt Hilda and Zelda cracking jokes, and Sabrina spinning around in front of a mirror in various outfits, that’s not the case here. Sabrina has different close friends on the Netflix version. These two characters don’t exist in the comic book series or the ’90s sitcom. On Sabrina The Teenage Witch, Sabrina spent time with Valerie Birkhead during her high school years (played by Lindsay Sloane in seasons two and three) and her college roommate Roxie King (played by Soleil Moon Frye in seasons five, six, and seven). In the comics, Sabrina mainly interacts with her boyfriend, Harvey, and her family members. 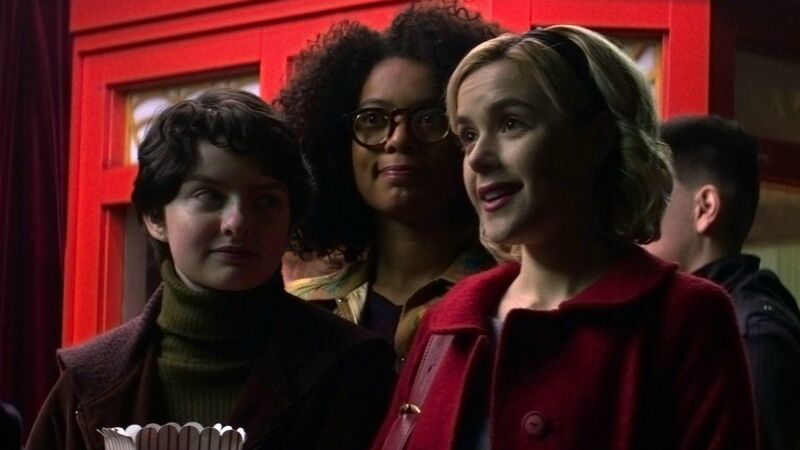 Now, Sabrina hangs out with Susie Putnam (played by Lachlan Watson) and Rosalind Walker (played by Jaz Sinclair). Susie is gender queer and Rosalind, also called Roz, is a feminist. 3 Differently: Do You Believe In Magic? The magic on Sabrina The Teenage Witch was often played for laughs and it wasn’t something that seemed to be taken very seriously. Viewers felt like Sabrina enjoyed her powers, but mostly because she could literally summon anything that she wanted, and she had lots of fun with it. After all, she was an adolescent girl, and adolescent girls wish to be normal and fit in more than anything else. 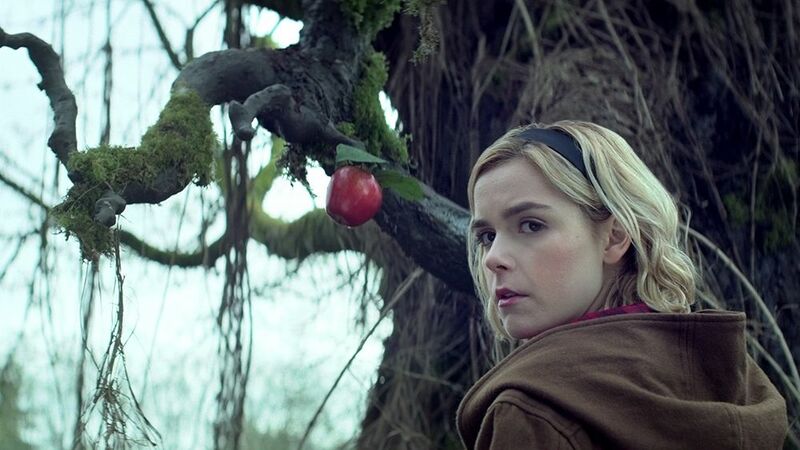 Things are much different on Chilling Adventures Of Sabrina, including the portrayal of magic. This new series has been described everywhere as being dark. There are mentions of cannibalism and words like “sorcery” come up, which wasn’t the case with the ’90s sitcom. 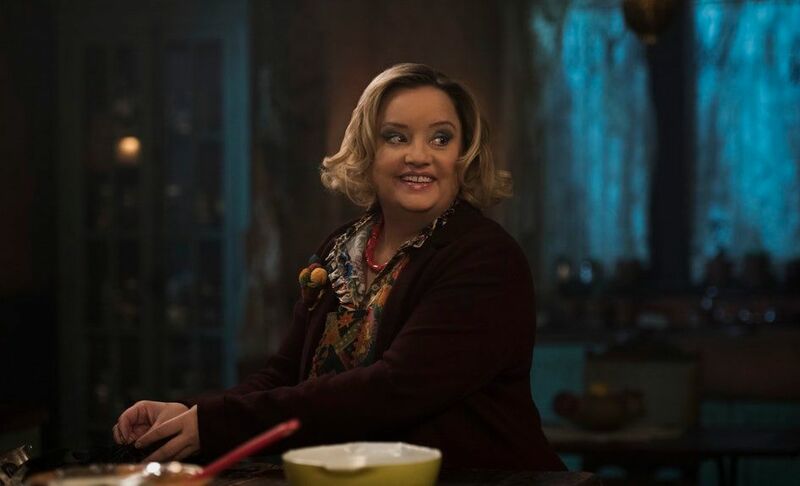 Just like Salem, it wouldn’t be Sabrina’s universe without her two aunts. They are always there for her through her new magical journey and it would be strange to not have them here. Audiences will assume that Aunt Hilda is like the aunt that we’re used to: kind of wacky but definitely a good witch. She was portrayed by Caroline Rhea on the ‘90s show. Now played by Lucy Davis, Hilda is quite different. As the actress told Entertainment Weekly, “Hilda can’t be forever cheerful.” It’s exciting and fascinating to see what Davis does with the role. While there are many things about Chilling Adventures of Sabrina that have stayed the same, there are also some key differences. But Sabrina and the major points of her storyline are still here. With revivals and adaptations, we could say that the more things change, the more things stay the same, and we look forward to checking out the series.